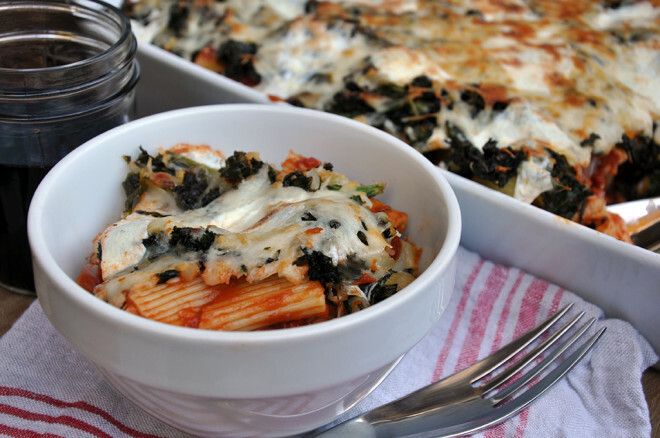 Do you know when you just want a big, cheesy plate of pasta for dinner?! Well, this is it...PLUS greens, so you don't feel too bad in the morning. Actually, you shouldn't feel bad about eating this at all. It's "High In" protein, calcium and a zillion million vitamins and minerals - see below. 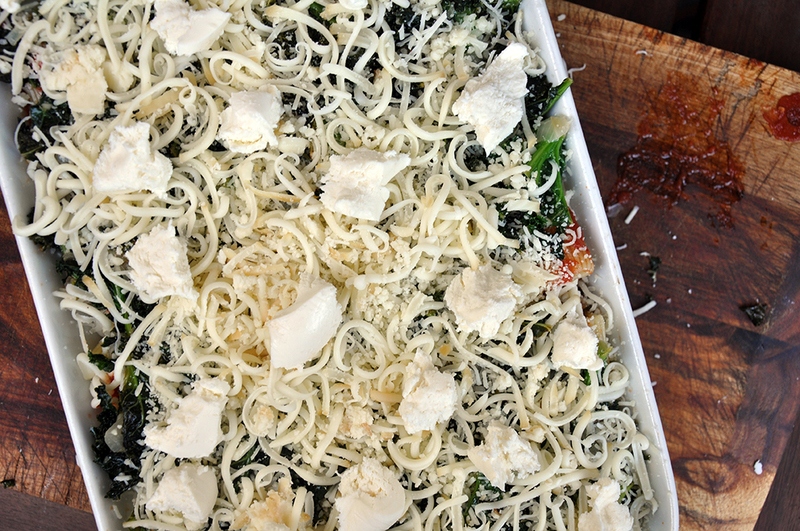 A beautiful layered, cheesy mess. 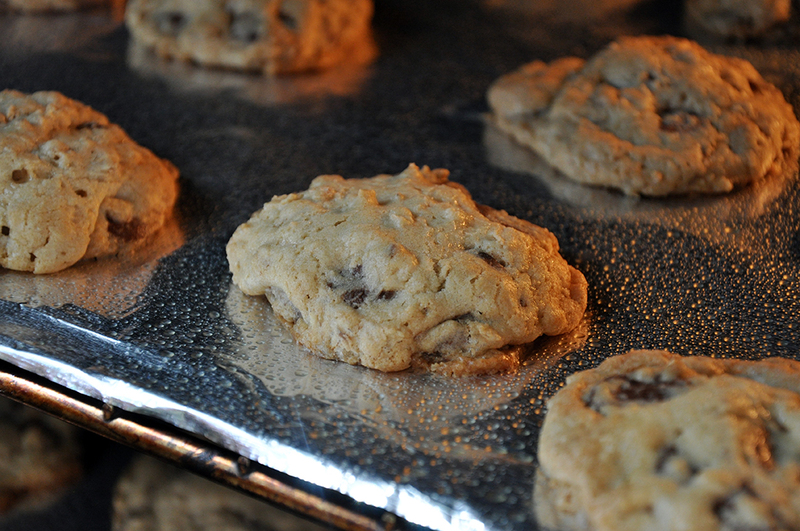 Add my Chocolate Chip Cookies for dessert and you have the ultimate comfort food night ahead! In a large pot of salted boiling water, add the rigatoni and cook until al dente, about 6-7 minutes. Drain, rinse and set aside. In a skillet over medium heat, add the EVOO. Add onion and sauté 5 minutes. Add the garlic, greens and salt and cook another 5 minutes until the greens are wilted. When the pan is dry, add the white wine and cook until evaporated about 5 more minutes. Remove from heat. In a 9" x 13" casserole dish sprayed with cooking spray, spread 1 cup tomato sauce evenly over the bottom. Spread 1/2 the rigatoni over top followed by 1/3 of the parmesan and 1/3 of each of the smoked and regular mozzarella cheeses. Repeat twice more, replacing the greens mixture for the rigatoni in the top layer. Bake for 20 minutes. Remove and eat! Sort of like a lasagna, but with a twist. I would so eat this right now. Great idea!